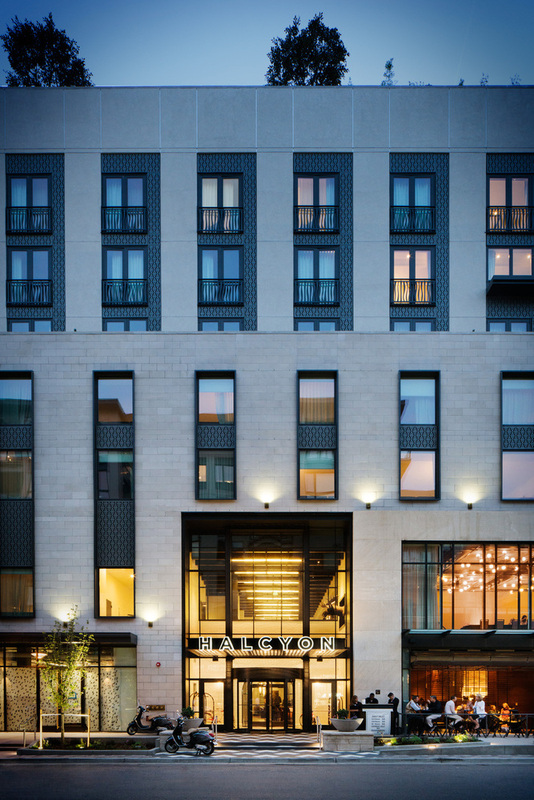 The Halcyon hotel | Cary Kopczynski & Company, Inc. 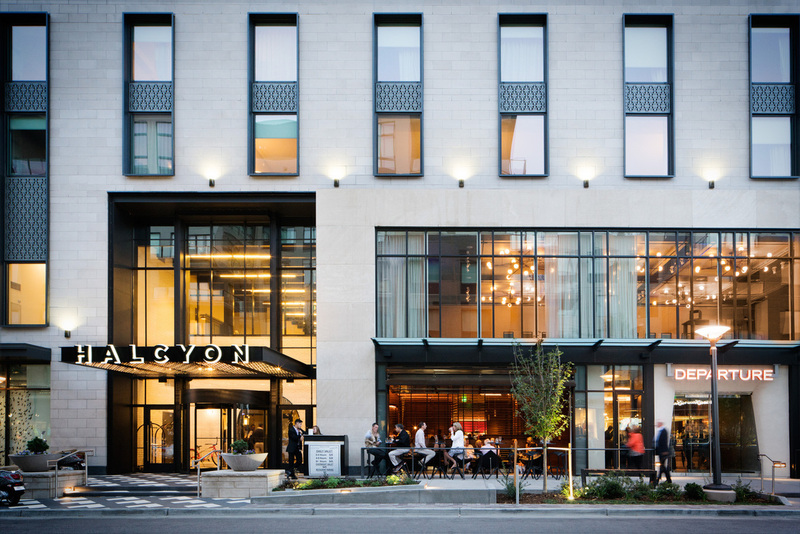 Located in the Cherry Creek North neighborhood of Denver, Colorado, on the site of the former U.S. Post Office at 245 Columbine Street, The Halcyon Hotel is a 7-story, luxury boutique hotel featuring 155 guest rooms, restaurants, and 5,900 square feet of retail space. 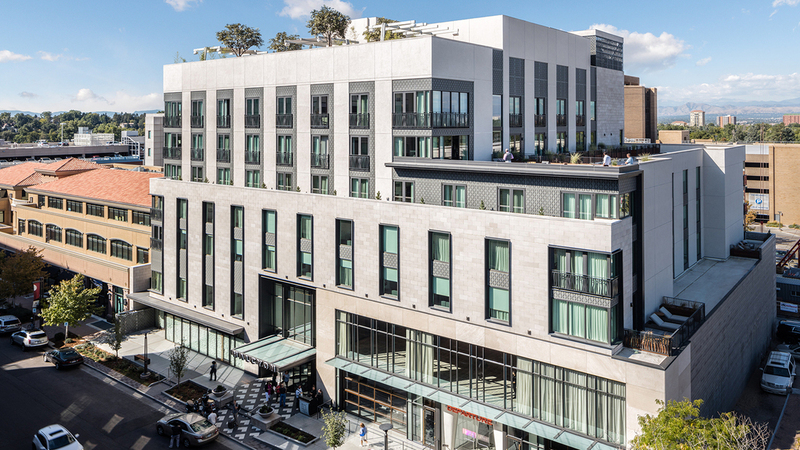 A generous amenity package includes a rooftop pool with food and beverage service, state-of-the-art meeting and event space, fitness center, and two levels of subgrade valet parking. Originally conceived as an office project, the project went through a big design change. 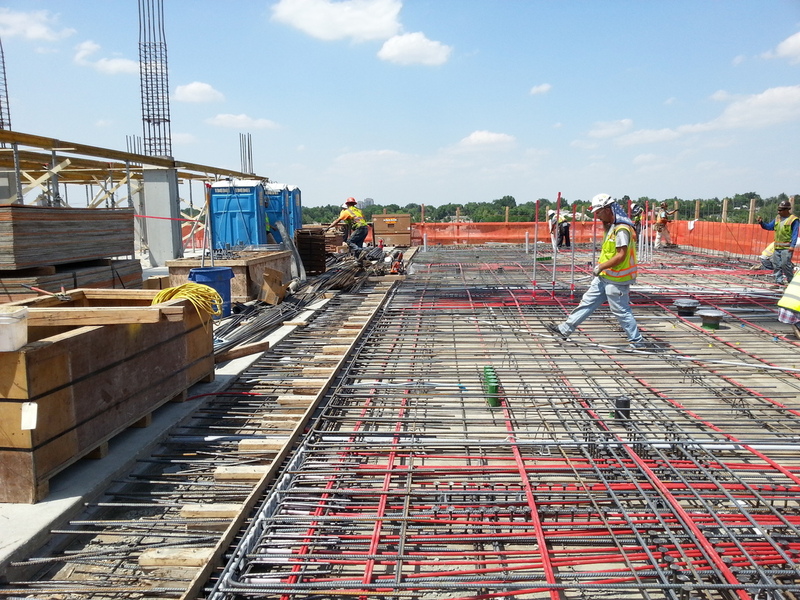 The structure is cast-in-place concrete with post-tensioned slabs. 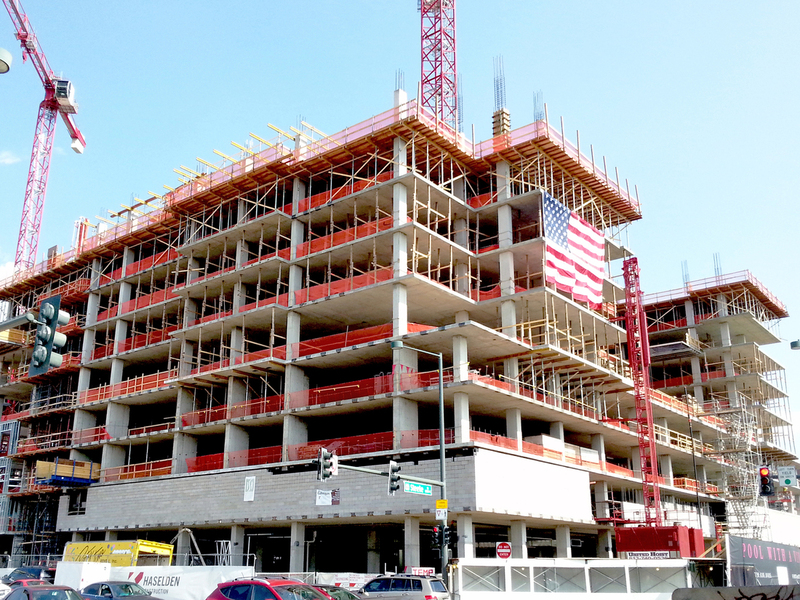 Shear walls and slab column frame resist wind loads. Full story height transfer beams allowed for wide open space in the 2nd floor ballroom. Construction began in Spring 2015 and completed in Summer 2016.